Shop with a Purpose! See the ways below in which you can shop for great items, but also support Iowa Humane Alliance and our mission to reduce companion pet overpopulation! 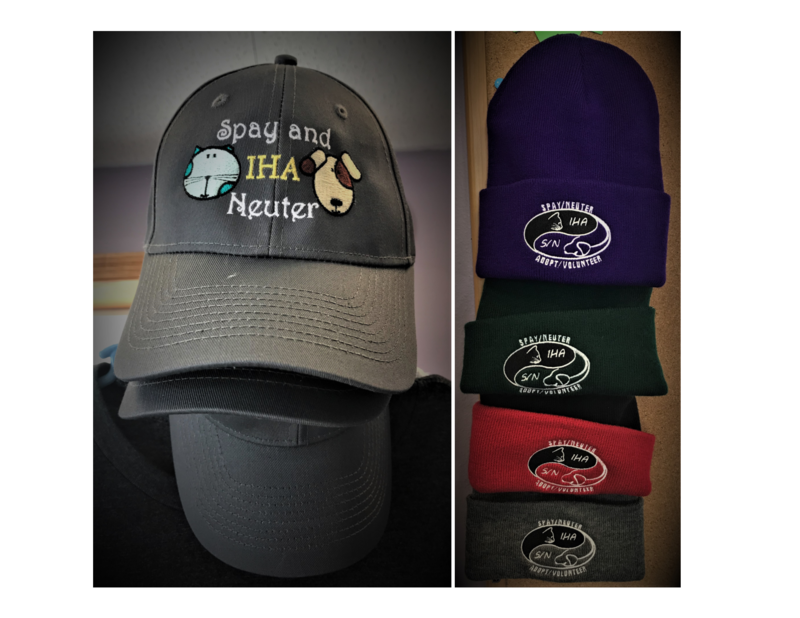 Order your IHA Gear now to ensure a better life for animals in our community. *Sometimes we run out of certain sizes. IF this does happen, we put your name on a list and notify you once the order is submitted. We recommend you contact IHA before stopping by to pick up a shirt to make sure it is in stock. Once the shirts are ordered, processing takes about 3 weeks. Additional charges may apply if shirt(s) need to be shipped to your location. Your purchase of Iowa Humane Alliance Spay/Neuter To Save Lives – Charm Bands is a great way to support our programs and they make a fashionable statement about the importance of life-saving spay/neuter. Each charm is made from recycled lead-free pewter with an earth friendly silicone band. 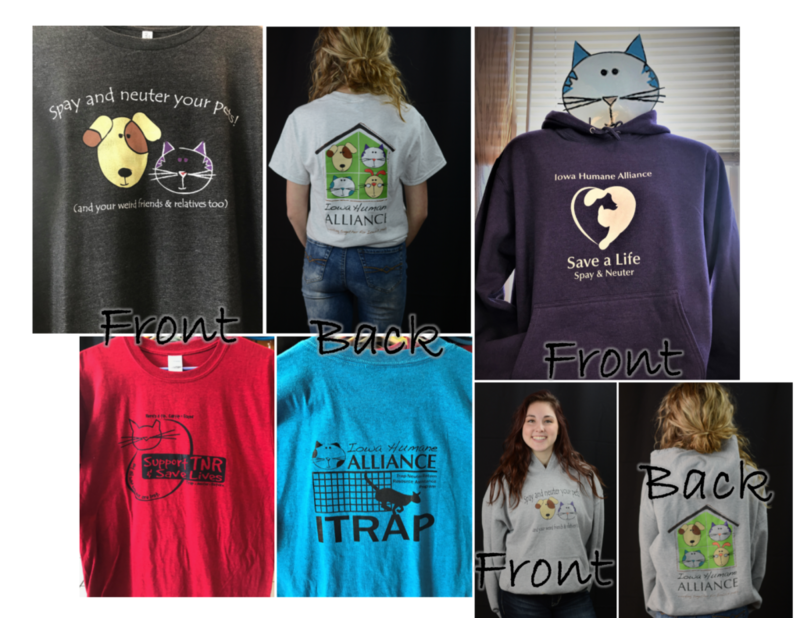 Collect all five for a memorable statement of your lasting support for Iife-saving spay/neuter programs through Iowa Humane Alliance. $10 per charm band! IHA Charm Bands make great gifts! Each band is individually wrapped with a card letting your gift recipient know that their gift supports life-saving spay/neuter programs. Order your IHA Charms now to ensure a better life for animals in our community. to request your charm bands today! $10 per charm band. We are proud to be a BISSELL Partner for Pets member! BISSELL and LostPetUSA.net have teamed up to help organizations like IHA raise money, and now you can help too! When you purchase pet products on bissell.com and enter the code ADOPT at checkout, a portion of the purchase will be donated to our organization! Please help us show our support by liking the BISSELL Pet Foundation Facebook page. Online crowdfunding (and zero platform fees!) combined with high-impact product fundraising to maximize dollars raised and kept. 1. You can purchase any of One Mission’s great products & 40% of what you spend will be donated. 2. You can donate cash (One Mission doesn’t charge a platform fee). 3. You can share this fundraiser with your friends and family. Raise funds for IHA every time you shop online. 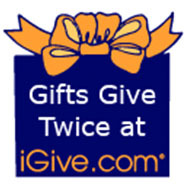 iGive is an online shopping mall where a portion of your purchase is donated to your favorite cause. Over 800 of the web’s best stores participate in this free program, and up to 26% of your purchase benefits IHA. 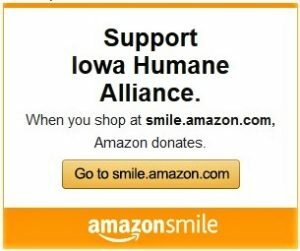 AmazonSmile is a simple and automatic way for you to support IHA every time you shop, at no cost to you. When you shop at smile.amazon.com, you’ll find the exact same low prices, vast selection and convenient shopping experience as Amazon.com, with the added bonus that Amazon will donate a portion of the purchase price to IHA.